Guest Post: Asher Lurie is an emerging PR professional, ready to make his mark. Prior to receiving a post-graduate certificate in PR from Humber College, Asher earned his Masters degree in media studies from the University of Western Ontario, where he focused on popular music and culture. You can connect with Asher on Linkedin or Twitter. With the recent news that formerly disgraced politician Anthony Weiner is making a run for the mayor’s spot in New York City, it seemed like an appropriate time to talk about how to rebuild one’s reputation, whether it is a company or a public figure. Why are we quick to forgive certain people, while others are never fully welcomed back into the public’s good graces? The answer is simple: public relations. More specifically, how you address the situation will play the biggest role in determining how quick people are willing to forgive and forget. There are several prominent examples from recent years that we can examine in determining the peculiar art of reputation reclamation. 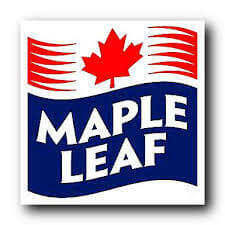 Perhaps the finest example of a company successfully earning back the trust of the public is Maple Leaf Foods Inc. from a few years back. Everyone remembers what happened: a listeriosis outbreak that killed 20 Canadians was linked to Maple Leaf cold cuts. Shortly after the outbreak was announced, CEO Michael McCain appeared in a television ad, offering a sincere and heartfelt apology. The public praised McCain’s response to the incident, and all the safety provisions Maple Leaf Foods were taking to ensure a similar event didn’t occur again. Considering the severity of the outbreak, it is astounding how quick the company recovered both in sales and stock price from the initial big drop that occurred right after the outbreak. The company came out of the entire ordeal with a reputation as a socially conscious and caring company. McCain was even named Business Newsmaker of the year. What made Maple Leaf Foods the leading example of how to get back into the good graces of the public? Most importantly: sincerity. McCain appears in the ad as a genuinely concerned human being, not as a CEO scrambling to do damage control. Convincing the public you are sincere in your apology is the decider between success and failure in rebuilding your brand’s reputation. Additionally, Maple Leaf Foods owned up to the outbreak and took complete responsibility. Instead of listing excuses or dodging the facts, the company admitted their mistake, and in later days outlined ways to ensure such a tragedy wouldn’t be repeated. Things can be a little trickier when you are dealing with one person rather than a company. There has been no shortage of celebrities mixed up in scandals that have harmed their reputations. Their attempts to recover from them have ranged considerably. First, there’s Tiger Woods. The undeniable greatest golfer of his (and arguably every) generation, Woods was the consummate professional, and Nike spokesperson extraordinaire. That is, until he was caught cheating on his (now ex-) wife with several women. Woods’ immense popularity diminished, most of his sponsors abandoned him, and his golf game suffered. Four years later, Woods has reclaimed his title as the number one golfer in the world, and Nike has released a new ad featuring Tiger. Tiger held a press conference shortly after the news broke about his infidelities, but many found him to be insincere and robotic. While Woods certainly has his share of defenders, it is fair to say that he has never, and likely will never fully recover from his misdeeds. It was simply too upsetting for people that had labeled him as this generation’s greatest athlete and role model, a man who was seen as the professional’s professional. His renewed prowess on the golf course, along with time passing, will help heal the wounds, but Tiger’s extra-marital activity will remain part of his legacy. 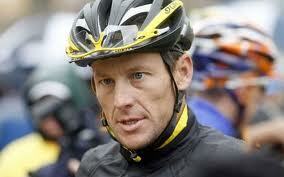 More recently, Lance Armstrong was caught in the most complicated and far-reaching doping scandal of all time. This was a tricky one, because he had used his celebrity to help push forward his Livestrong foundation and had been at the forefront of various other charitable initiatives. On the other hand, Armstrong had lied countless times, pretty much single-handedly destroyed the legitimacy of an entire sport, and made millions in the process. Over the past year, he’s launched a full-blown media tour, doing exclusive interviews to talk about what he did. The early returns seem that nobody is in too much of a hurry to forgive Armstrong, as his appearances appear self-serving and transparent in his desire to regain the spotlight, rather than to make amends for what he did. In all these examples, the common denominator remains sincerity. If you really mean it when you are apologizing, society is likely to (eventually) forgive you. We want to feel good about our heroes, but we don’t like feeling duped. Be honest and forthright about your mistakes, and that along with the passage of time should allow for the anger of the public to slowly evaporate. So, has Anthony Weiner been sincere enough, and has enough time passed that voters are willing to have him represent them once more? Time will tell. Let’s just hope that he has hired someone else to do his tweeting for him.